Table Top Barrel Wine Rack will complete any room. 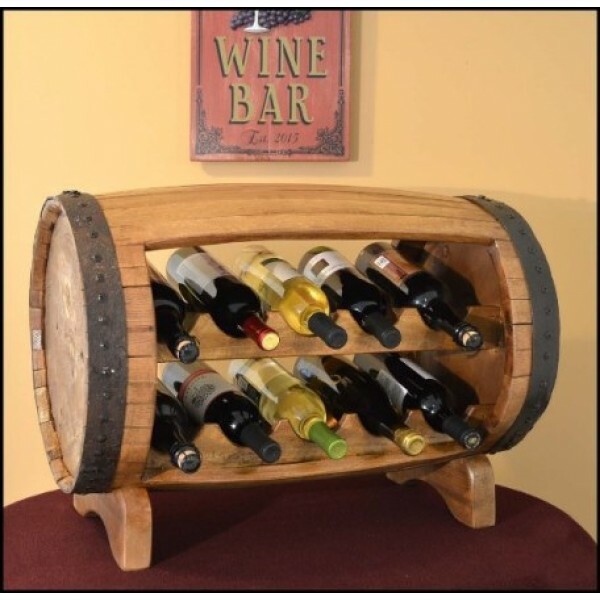 Made from a real barrel, the rack holds 10 bottles of wine.. Made out of oak and finished with a whiskey stain. Size: 30" x 15" x 15"